A compact and extensive collection of Sherlock Holmes stories that looks amazing on your bookshelf. 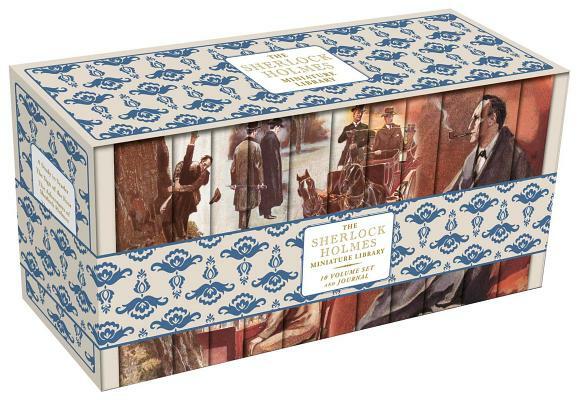 Explore the world of Sherlock Holmes in this boxed set of miniature books that looks wonderful on your shelf. When arranged in order, the spines create a colorful montage of scenes from Arthur Conan Doyle’s stories. The set includes ten volumes of Sherlock Holmes mysteries as well as a journal in which readers can record the results of their own sleuthing efforts.